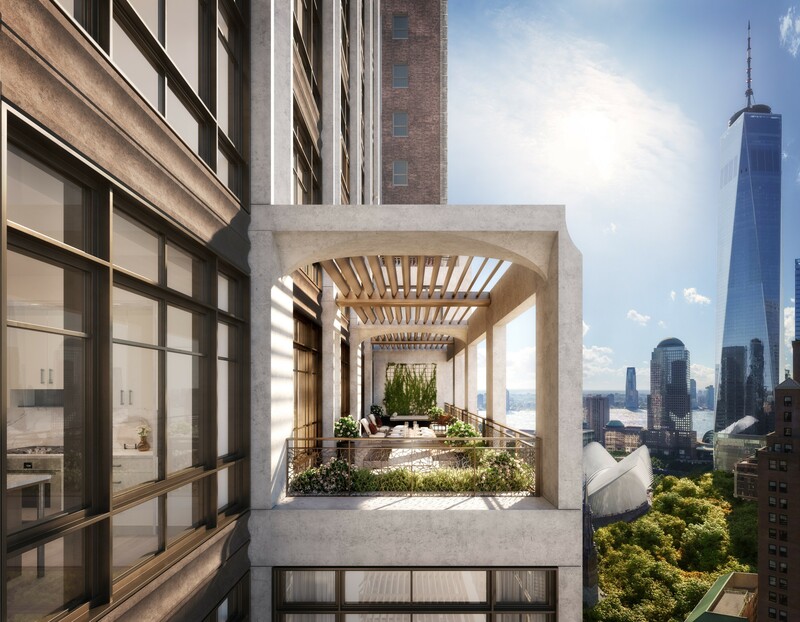 25 Park Row is making news again, as sales have recently launched for the 50-story residential skyscraper. 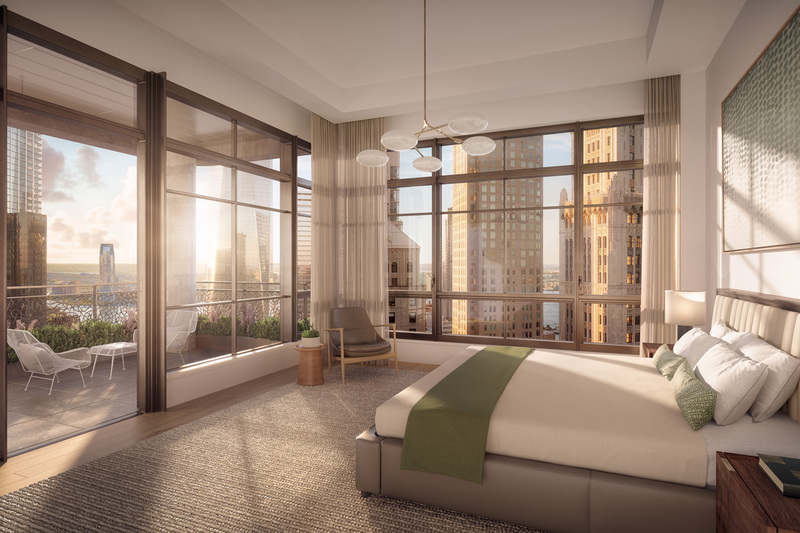 New renderings have also been released showing the residential interiors of the 665-foot tall condominium tower above City Hall Park, as well as the surrounding cityscape. 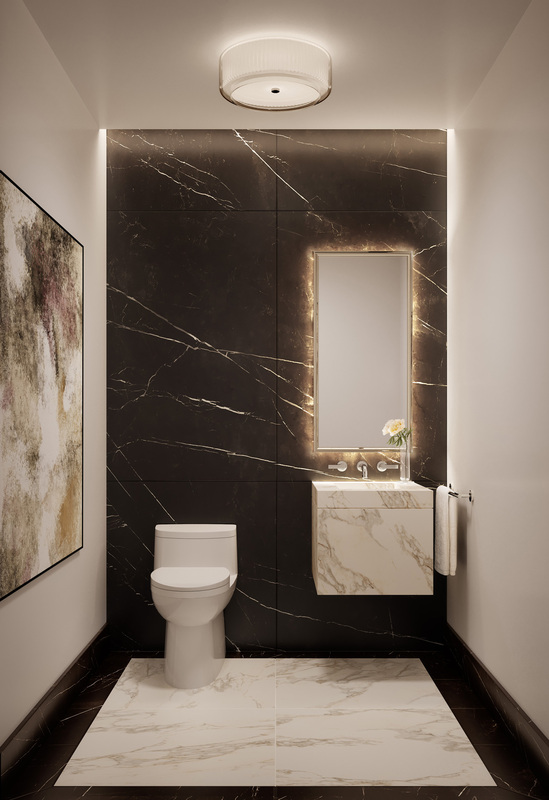 Designed by COOKFOX Architects, the project is being developed by the J&R Store founders and L&M Development Partners, and will yield 110 residences. 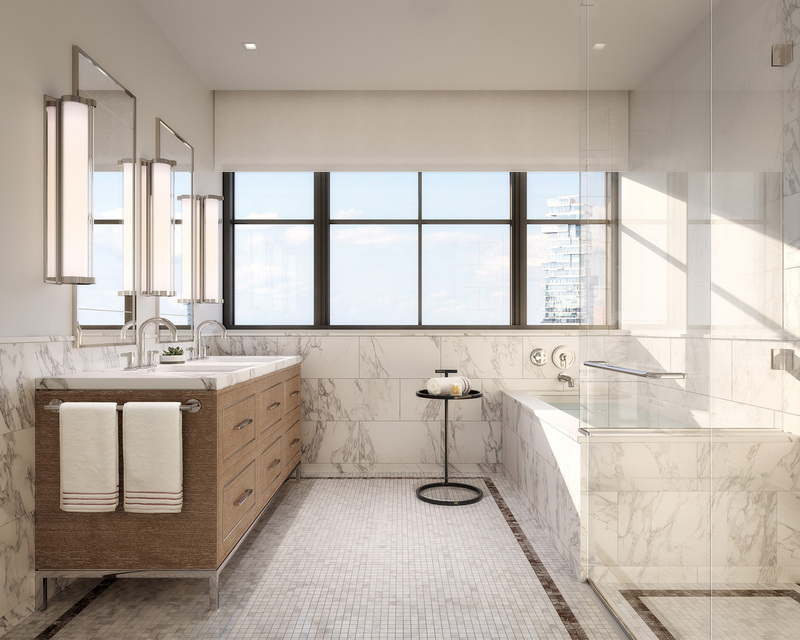 Corcoran Sunshine Marketing Group is handling sale of the units, while the amenity spaces are being designed by Studio Mellone. 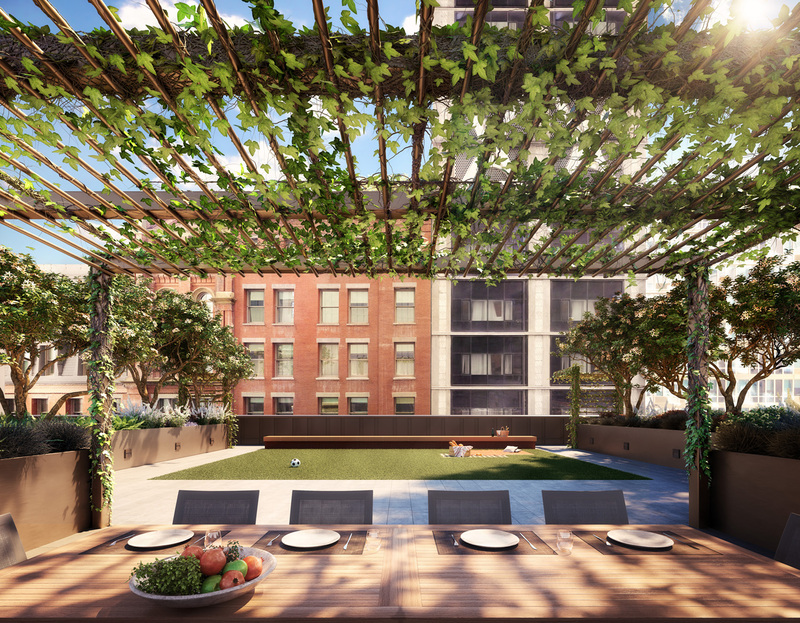 The landscaping is being created by Starr Whitehouse. 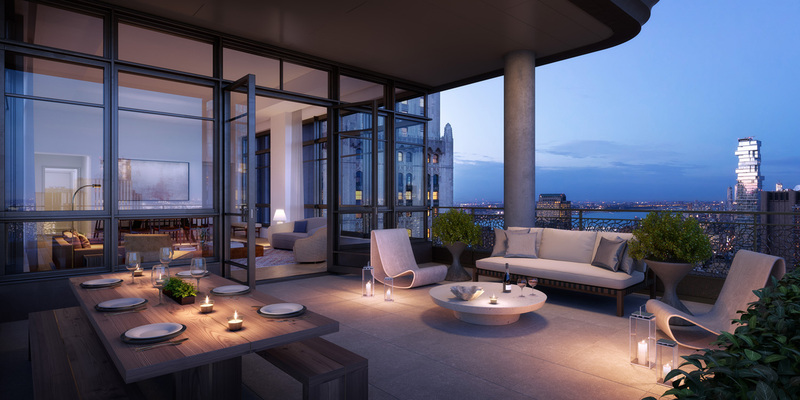 There will be one-, two-, three- and four-bedrooms units along with the full-floor penthouse on the 42nd floor. 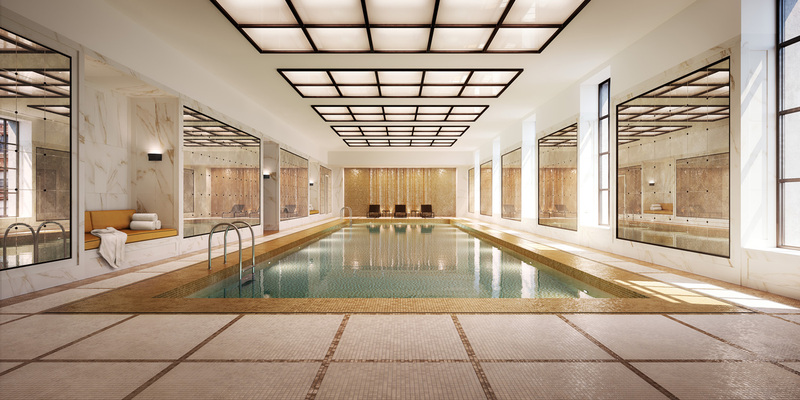 Prices begin at $1.695 million, and stretch to $12.5 million for penthouses. 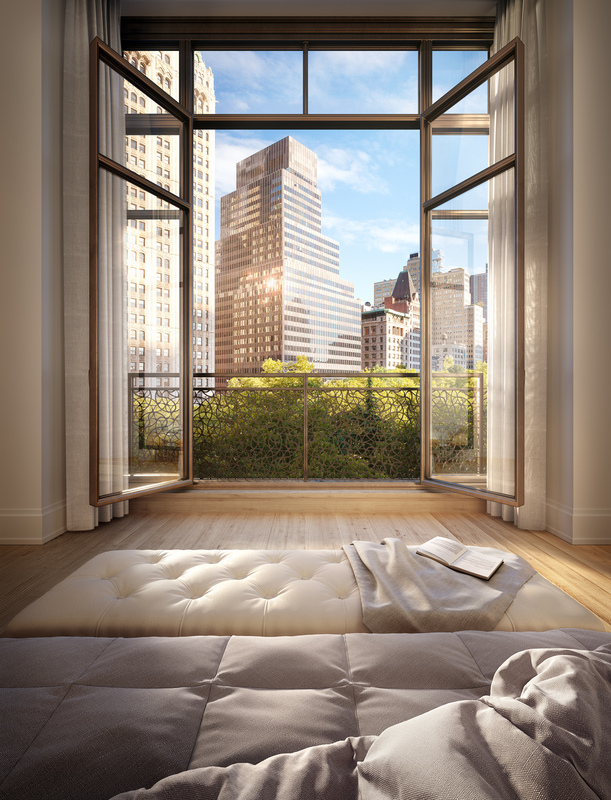 Almost all the units will have Juliet balconies and / or loggias. 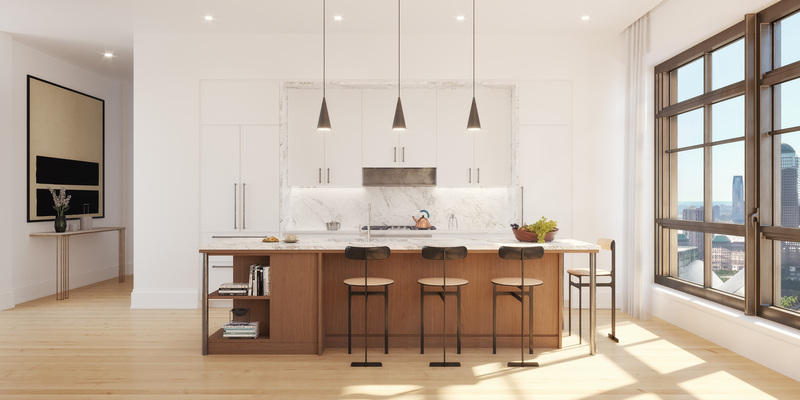 Looking at the renderings, the most notable aspect that catches the eye are the large tall windows in the living room, kitchen and bedrooms, for abundant natural lighting. 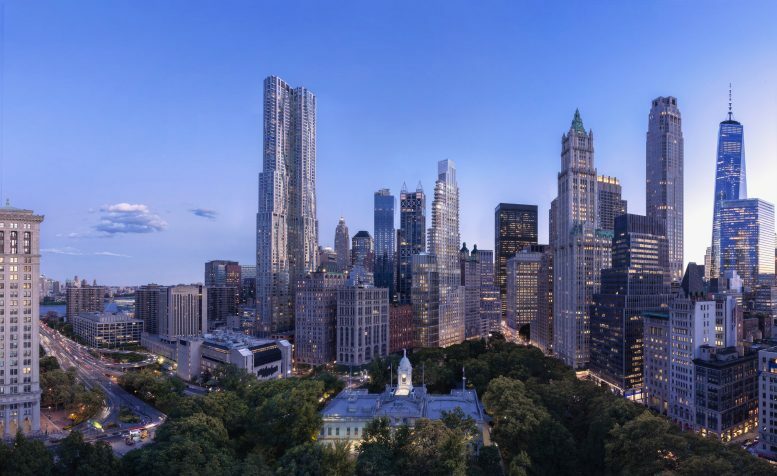 This also adds to the striking views of the skyline with perfect shots of the Woolworth Building across City Hall Park, the East River, and the World Trade Center. 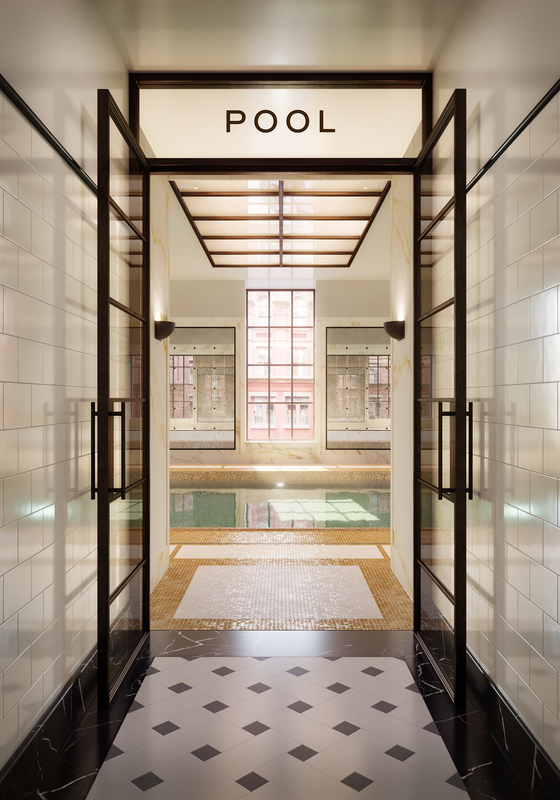 Renderings of the 65-foot lap pool show the gold and white mosaic tiles on the floor while large mirrors and white marble surround the space. 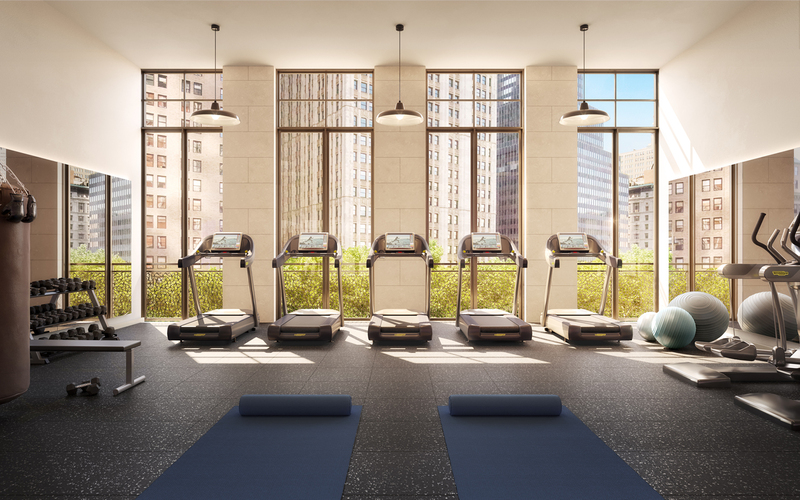 The fitness center has a view of City Hall Park above the treeline, while the library and dining room are also greeted with floor-to-ceiling windows. 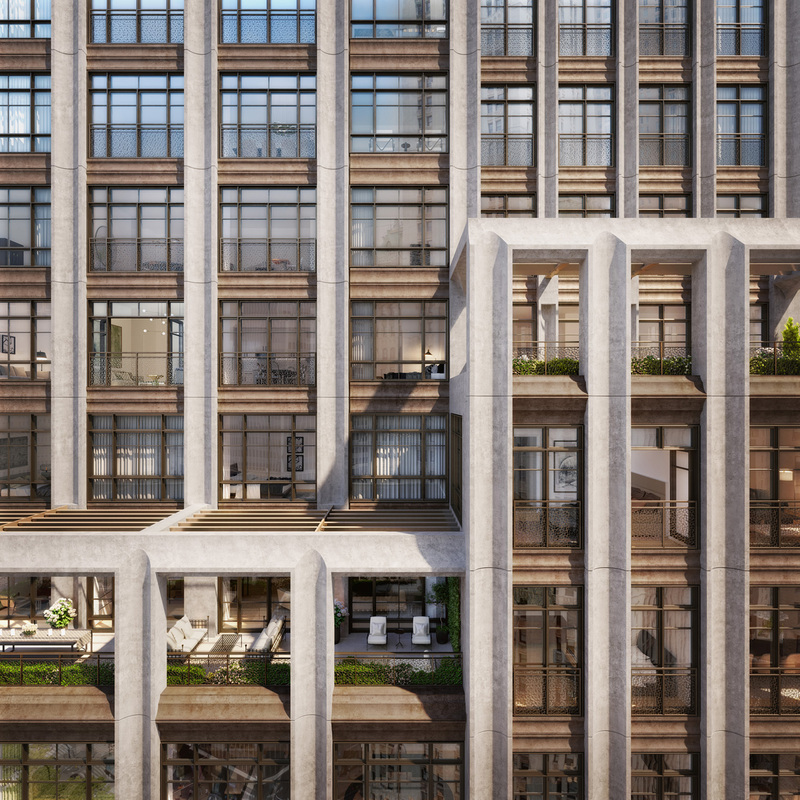 The hand-cast stone and metal detailing on the facade is rising fast along the main western elevation. The tower topped-out last year, with the crown fully formed and waiting to be enclosed in the coming months. 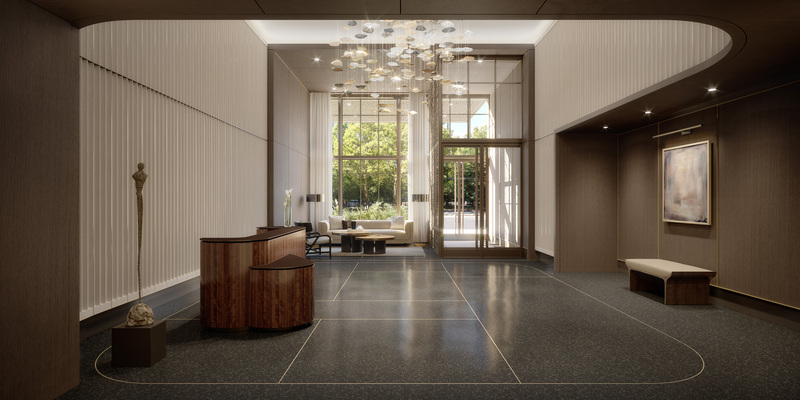 A landscaped courtyard will be found on the eastern side of the building. 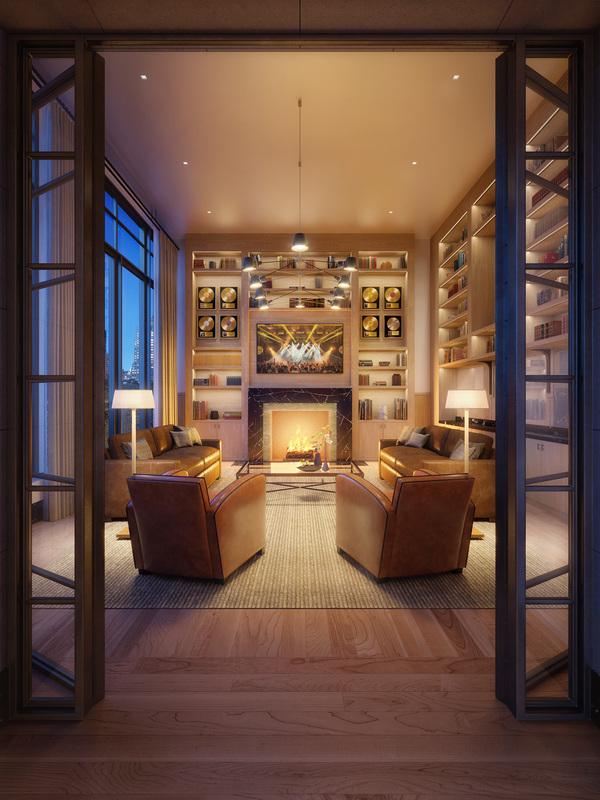 25 Park Row is expected to be finished by the end of the year. 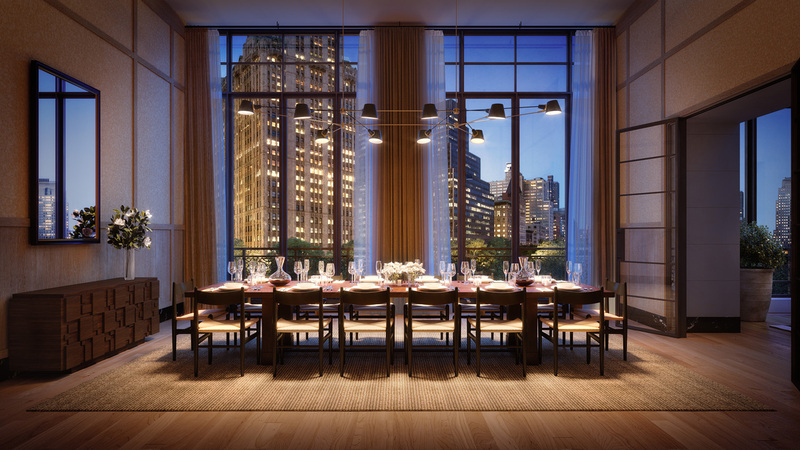 4 Comments on "Sales Launch For COOKFOX’s 25 Park Row in Financial District, New Renderings Released"
This building is beautiful and the apartments should sell quickly, and I would be surprised if it’s not half-sold already. For those who felt sorry for the owners of J&R Music World, it looks like they are doing just fine. Congratulations!